Smooth ceiling to smooth walls with one feature wall papered walls, double glazed window to front, radiator, power points, TV aerial point, laminate wood flooring. Stainless steel sink and drainer unit with mixer taps, cupboards under, range of wall and base units, granite effect work surface, tiled surround, built in gas oven and hob, overhead canopy extractor fan, plumbing for washing machine, smooth ceiling, smooth walls, double glazed window to rear, double glazed patio door leading to rear garden, power points, laminate wood flooring. Textured ceiling to smooth walls, double glazed window to front, radiator, power points, carpet flooring. Textured ceiling to smooth walls with one feature wall papered walls, double glazed window to rear, radiator, power points, carpet flooring. Textured ceiling to smooth walls, double glazed window to front, radiator, power points, carpet. 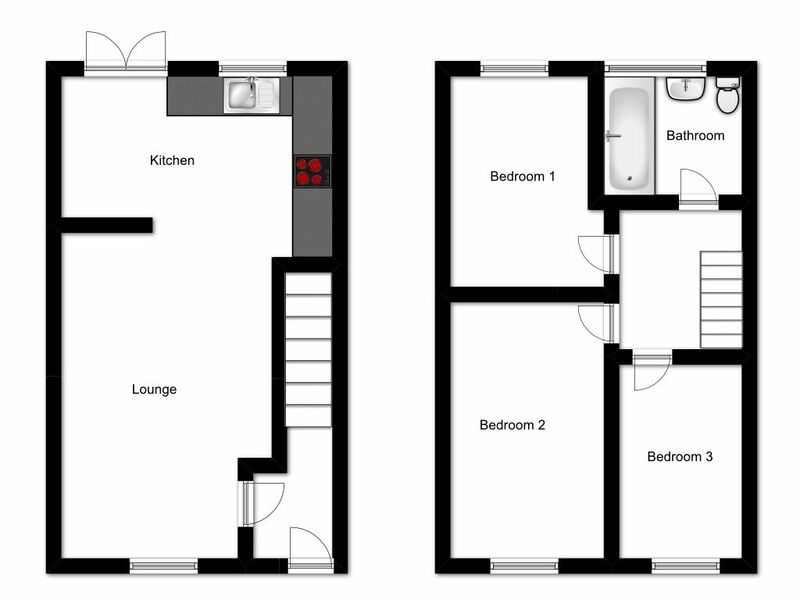 Smooth ceiling to tiled walls, obscure double glazed window to rear, radiator, white three piece suite comprising of; panelled bath with mixer taps with shower attachment, low flush WC, pedestal hand basin, vinyl flooring. Immediate patio area, laid to lawn, fenced boundaries, rear access via gate. 0.2 miles to tilbury station!